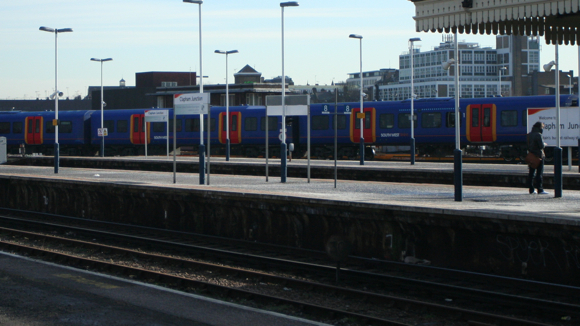 Almost five years ago the council launched its ten point plan for Clapham Junction. It was one of those things that was more aspiration than anything. The council had little control over the implementation of most of the ten points, but it did form a great basis for lobbying by creating a coherent vision of what Clapham Junction could be with the implementation of some small, and some not so small, changes; the council had a powerful voice because it was arguing not just for some ill-defined investment, but a series of deliverable improvements. It’s a superb example of how the council can still shape the area, even through is doesn’t necessary have total control over everything in its patch. Complete the East London Line extension to Clapham Junction, to interchange with the West London Line, creating an orbital rail route around London. Connect Clapham Junction to the Underground by bringing forward the long delayed Crossrail 2 project and an extension to or connection with the Northern Line at Battersea Power Station. Open a new station entrance to St John’s Hill, in Brighton Yard, to reduce overcrowding and provide step-free access to the platforms. Improve the station environment and facilities. Provide new rail services to Heathrow and Gatwick Airports. Improve the routes between the town centre and the station, and declutter the areas outside the station. Improve interchange between rail and bus services, with taxis and for cyclists. Increase the capacity of the station by lengthening platforms and improving access routes. Improve train frequencies with more Metro-style ‘turn up and go’ services on local lines and all long-distance services calling at the station. Improve public transport information, convenient ticketing and signage. It will be fascinating to see the results over the next few years. And what about the station itself: i.e. the main lobby from St John’s Hill and the disgrace of Grant Road (which will however welcome the tube)?